Because of our relatively late lunch reservation (we called the restaurant 2 days before), our seats were by the counter. Some would be disappointed by this since Kinki has large windows on all sides with an exceptional view of Marina Bay Sands Singapore. However, my dining partner and I weren’t bothered by the lack of view at all since we had front row seats to watch the sushi chefs in action. I have been to Kinki previously and had the executive sushi lunch set (which was decent for the price) so we decided to go for the a la carte menu today instead. 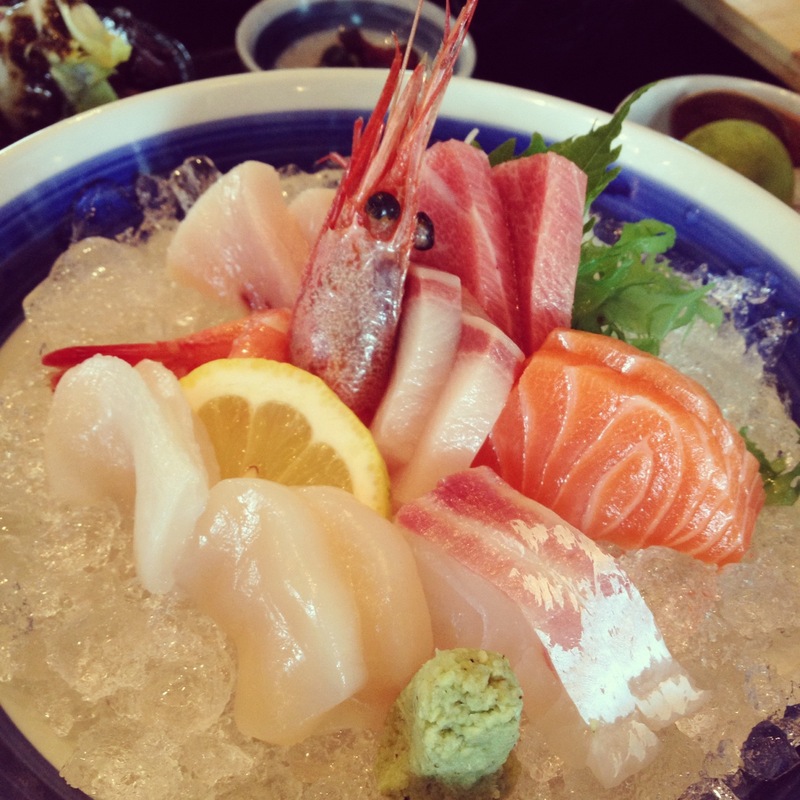 This dish is a cross between a japanese sashimi dish and a western carpaccio dish. 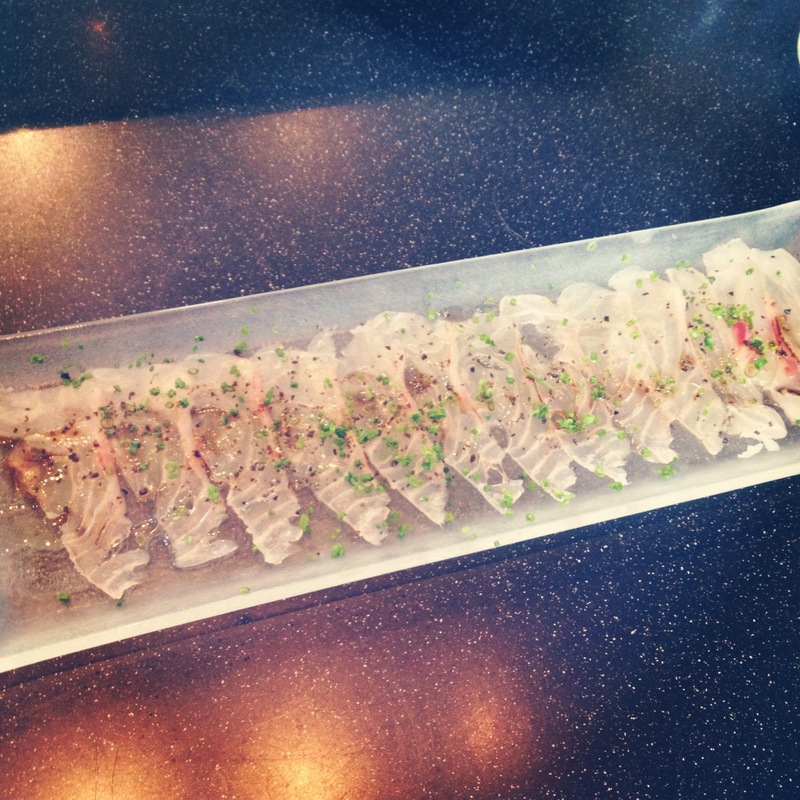 The snapper was thinly sliced and arranged in a row, drizzled with shio konbu dressing. It looks simple and plain but just pick up a slice with your chopsticks and you will be able to smell the distinctive fragrance of truffle oil. Nothing traditional about this dish at all. 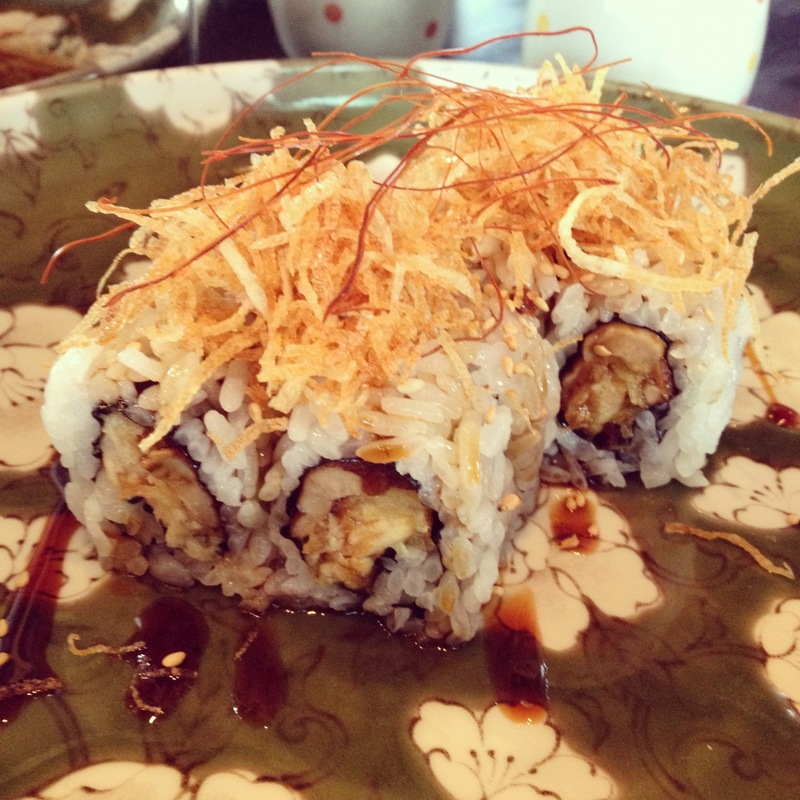 The Foie Gras Unagi Maki however was worth every single penny. 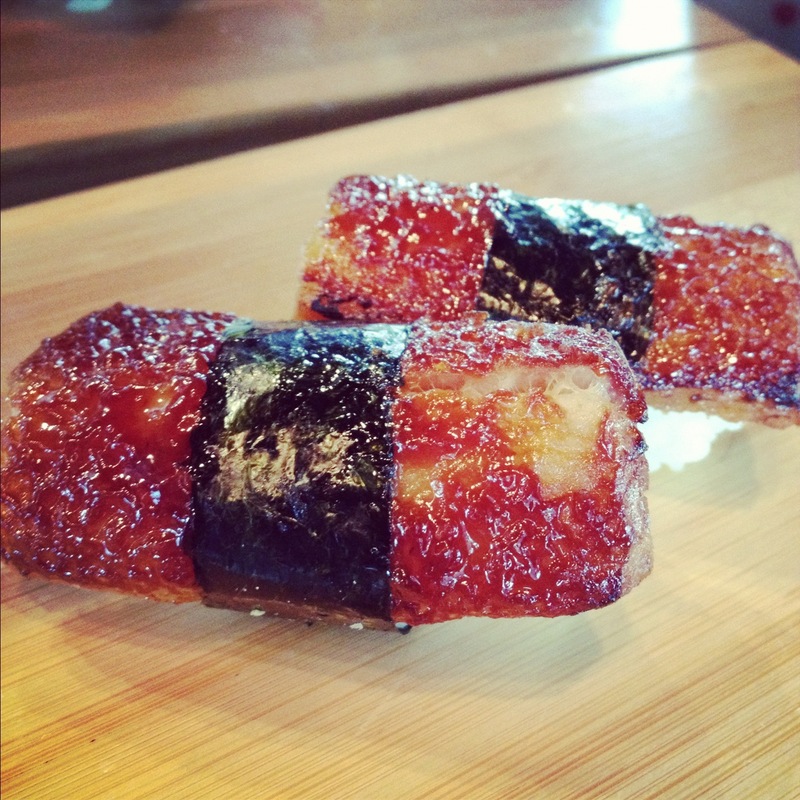 You could taste the crispy fatty foie gras as well as the sweet eel in this maki. I never knew that the two could compliment each other so well. The crispy thing on top is potato floss and it was amazing as well. We ended off our lunch with sashimi, which was fresh but I suppose, you could get fresh/good sashimi at any reputable japanese restaurant. I would recommend a trip to Kinki for the unconventional and unique japanese dishes that they offer. 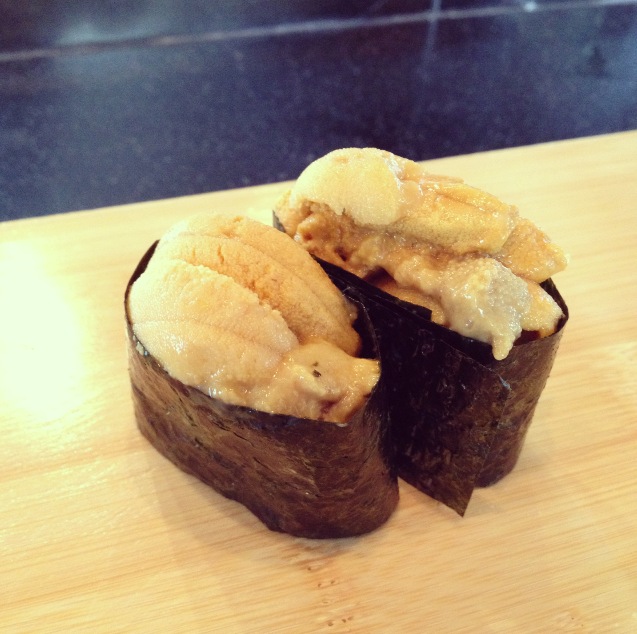 The Foie Gras Ungai Sushi was excellent and I would go back to Kinki just for that. 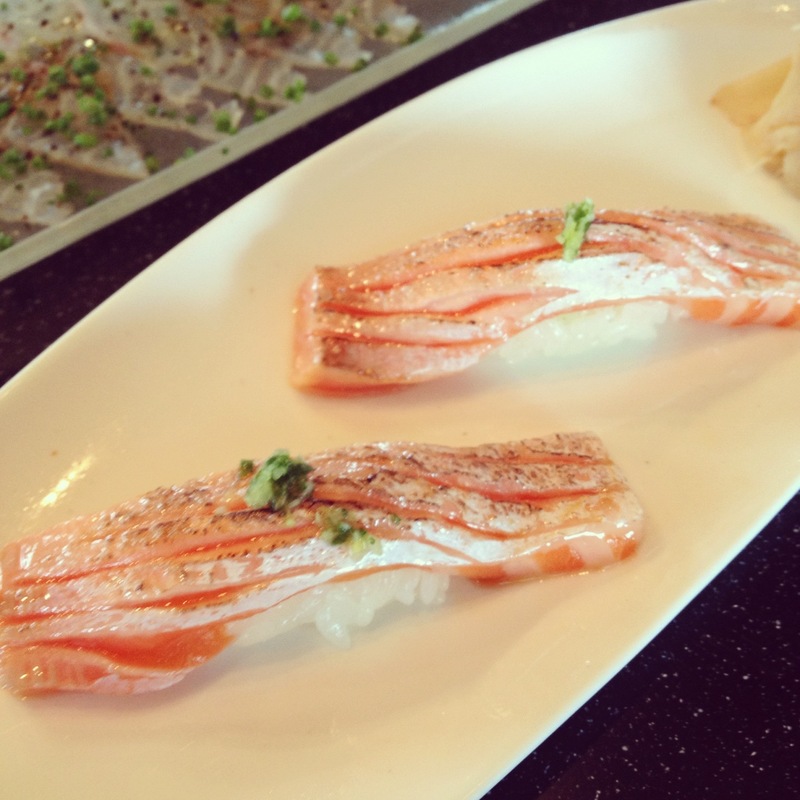 That being said, I wouldn’t recommend Kinki for “regular” japanese food. For the price that you’d be paying, I think you’d be better off going to a more traditional establishment serving more authentic Japanese cuisine. 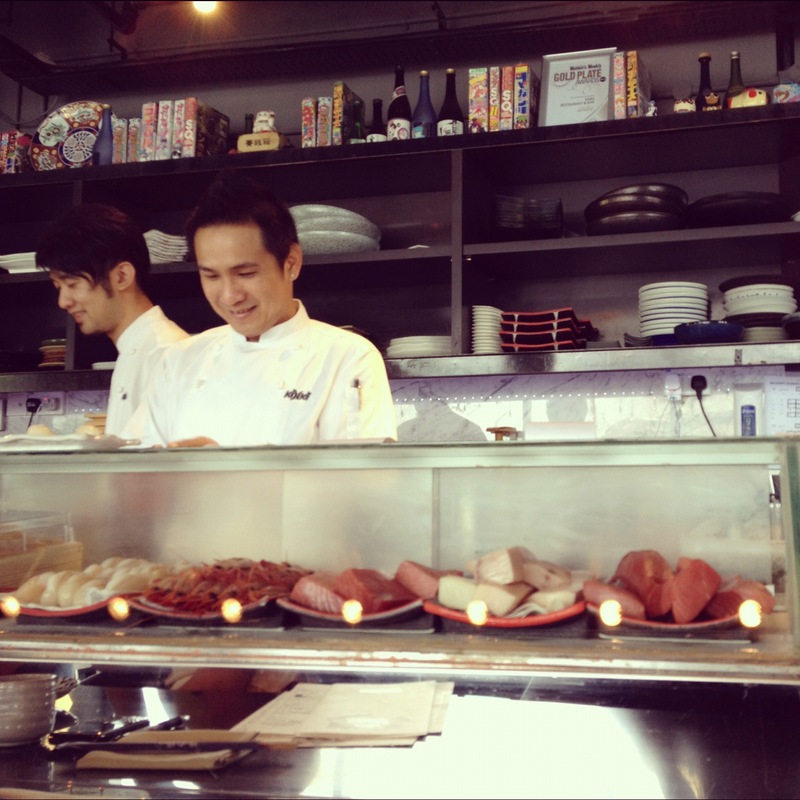 After all, Kinki prides itself on being “Japanese with an Urban Attitude”, thus if you’re in the mood for something special and one-of-a-kind then this is definitely the place for you. P.S. 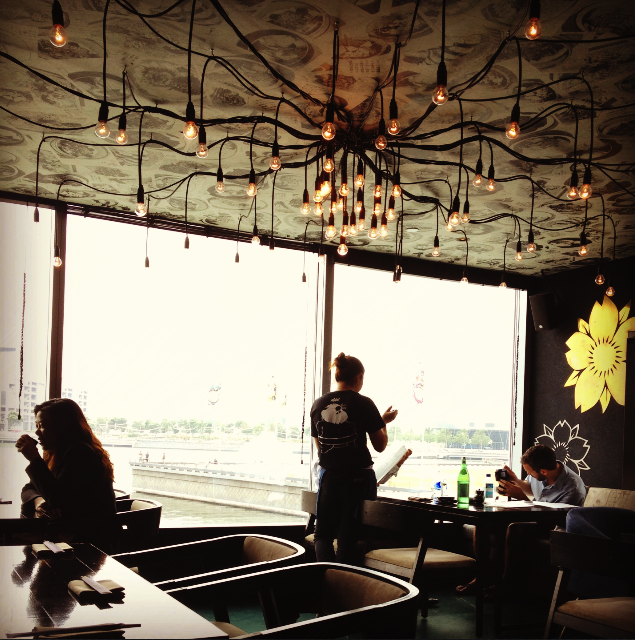 Kinki has an amazing roof top bar as well with an excellent view of Singapore’s city skyline. So if you’re in town during happy hour, why not pop by to enjoy the view (if you can take the heat on the roof that is). Bummer that some were not as good as you hoped. But good that you enjoyed the Foie Gras Ungai! It all looked so yummy to me! Do you post reviews on Yelp? That looks so and delicious.